La Mademoiselle: Review: It does wonders, who can it be? Review: It does wonders, who can it be? Hi all! 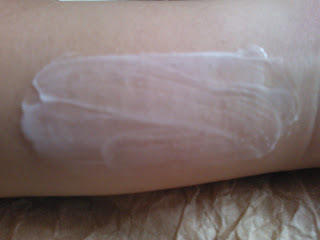 Today, I’m going to review the cream that does wonders to my super flaky lower limbs- SteamCream! This was actually a gift from my bestie for my birthday this year. Knowing that I loved music and playing the keyboard, she hand-picked this design, Nocturne, for me. The picture which I've taken from SteamCream UK's website further introduces SteamCream to you. Each individual tin of cream is handmade with the freshest ingredients available, feeding your skin with much goodness possible. 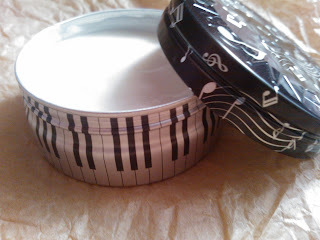 Once you have finished the cream, do keep the tins to store small accessories and hairpins. I'll definitely keep mine for guitar picks :D Furthermore, it is an award winner! Upon opening the tin, the scent of the cream was really enticing and it appeared to be rich and super moisturizing. This was the exact scent that left me with nice childhood memories in the past. It was a pure coincidence that Steam Cream had this scent in their wonder creams! A whiff of it calms my nerves down and I guess it does a bit of aromatherapy right? Especially that we’re always loaded with lots of work to do. I applied this to my dry, flaky arms and the scale-like texture of my lower limbs at night and woke up with less scale-like skin on my limbs. I was awed by it’s super fast absorption and moisturizing effect and decided to try it on my face- the areas near my scalp. 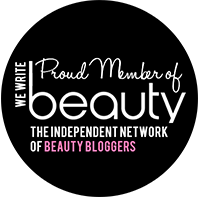 I have really sensitive scalp, whereby I could only use organic and paraben-free shampoos and conditioners. Often, the areas near my forehead and hair had skin flakes. It has been months and haven’t find a solution to it. However, after I applied to that area, I can feel that the cream tried to calm my skin down, seeping in to moisturize the inner skin. It was indeed a good investment for a rich moisturiser like SteamCream and I'm loving it to bits! Going to get a second tin when I'm done with my first tin! SteamCream retails for $25.90 at ALT Beauty at BHG, certain Watsons outlets, etc. Disclaimer: I'm not affiliated to SteamCream Singapore for this 100% honest review of mine. I was not sponsored or paid to do review SteamCream.